Get your broken sprinkler head fixed the right way. We'll prepare your system for winter, then start it up again in spring. Stop worrying about watering your lawn or leaving sprinklers on. Find the damaged wiring that's causing your system to malfunction. Keep pests away from your property. How often do you turn on a sprinkler and forget about it until your yard is flooded? Do you only think about watering your grass when it's brown and dying? AllPro Sprinklers, LLC offers reliable irrigation system services in the Pinehurst, Conroe, Spring, Texas and Montgomery County area. A professionally installed sprinkler system will keep your lawn watered on a set schedule, without you having to do anything. We'll get your property set up with a system that meets the needs of your lawn and garden. Stop wondering about whether it's time to water your grass. Get irrigation installation done at your Pinehurst, Conroe, Spring, TX and Montgomery County home or business by contacting AllPro Sprinklers today. Make sure your irrigation system is always ready when you need it. Call 936-207-3065 today to get an estimate on irrigation system services in the Pinehurst, Conroe, Spring, TX and Montgomery County area. AllPro Sprinklers opened for business in 2001. Our owner provided maintenance and repair services for commercial clients for nearly two decades before deciding to extend his services to residential customers. We're more concerned about providing you with the service you need than with padding our pocketbooks. Senior citizens receive a 5% discount. We're a licensed Texas irrigator located in Pinehurst, TX and serving Spring, Houston, Conroe, Tomball, Cypress, Magnolia, Willis, Montgomery, Kingwood, Humble, Hockley, North Houston, Shenandoah and The Woodlands. 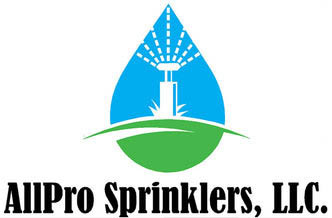 Contact AllPro Sprinklers today for irrigation system services in Pinehurst, Conroe, Spring, TX and beyond. Copyright © 2019 AllPro Sprinklers, LLC, all rights reserved.